I love shirred eggs and the addition of the potatoes is genius! Oh!! This sounds delicious!! I will make this soon… thank you! Have you ever tried this with sweet potatoes? I came across this recipe as I was reading up your book of ‘My Kitchen Year’ and couldn’t resist the urge to concoct one for a quickie breakfast for one. I had grated nutmeg gracing the top of the potato purée. I ended up gobbling up double of one’s share. 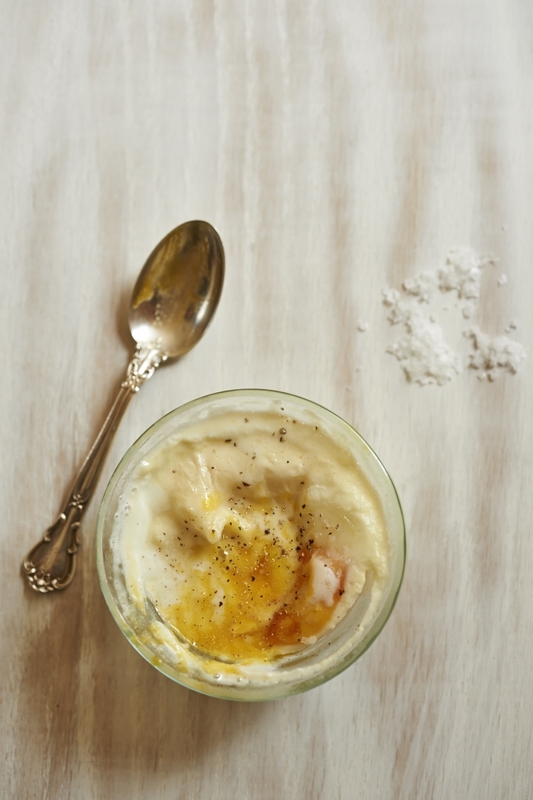 The recipe for Shirred Eggs with Potato Puree calls for 1/2 stick of butter or 4 oz. Most butter is packaged in 1 lb. packages of 4 sticks of 4 oz. each. So the recipe should either say one stick of butter (4 oz.) or 1/2 stick of butter (2 ox.) I’d be interested to know which is correct.